Too little to do? Not in Chattanooga. The Scenic City&apos;s yearly calendar is full of exciting festivals and events, offering a diverse lineup of entertainment, sure to please each visitor&apos;s unique taste. Whether you&apos;re looking for Rock, Country, Blues, Bluegrass, Jazz, Christian, Latin, Punk, or something else, Chattanooga&apos;s got it the music festival for you. Oh yeah, did we mention we have wine, beer, film, culture & arts festivals? Whatever you&apos;re after, come to Chattanooga, and go get it! 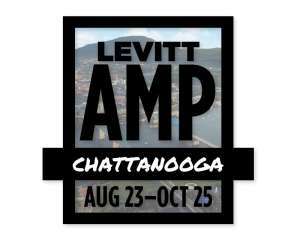 Annual music festivals include the 8-day Riverbend Festival, Nightfall Friday-night music series, Riverfront Nights, Three Sisters Bluegrass Festival, Jazzanooga, and weekly music and entertainment at the Chattanooga Market – just to name a few. Check out the complete list of this week&apos;s music & entertainment lineup.